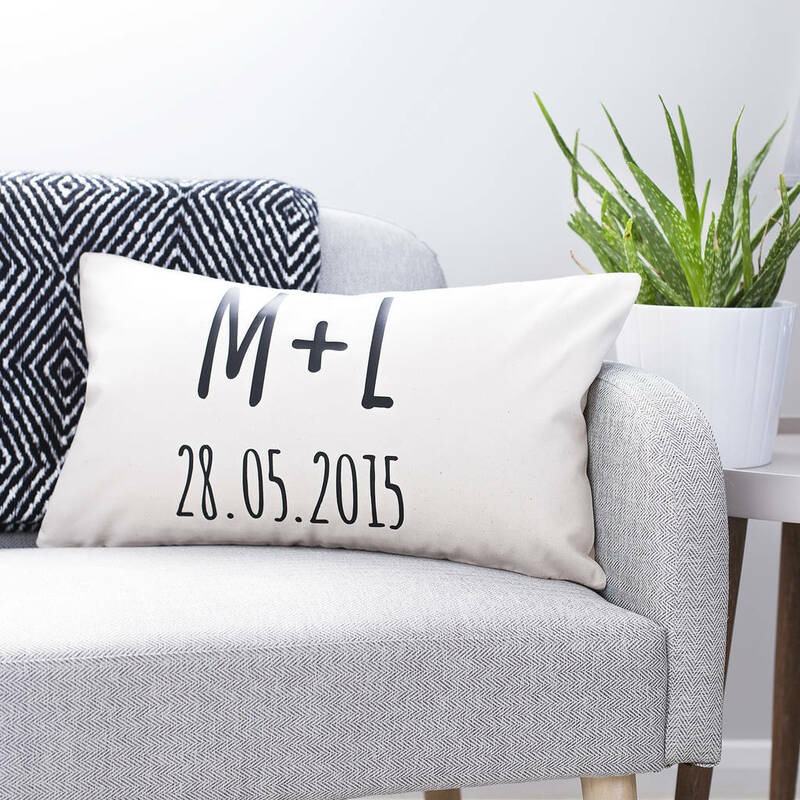 A beautifully bespoke, hand pressed Couple's Cushion, a perfect anniversary gift for that special someone. 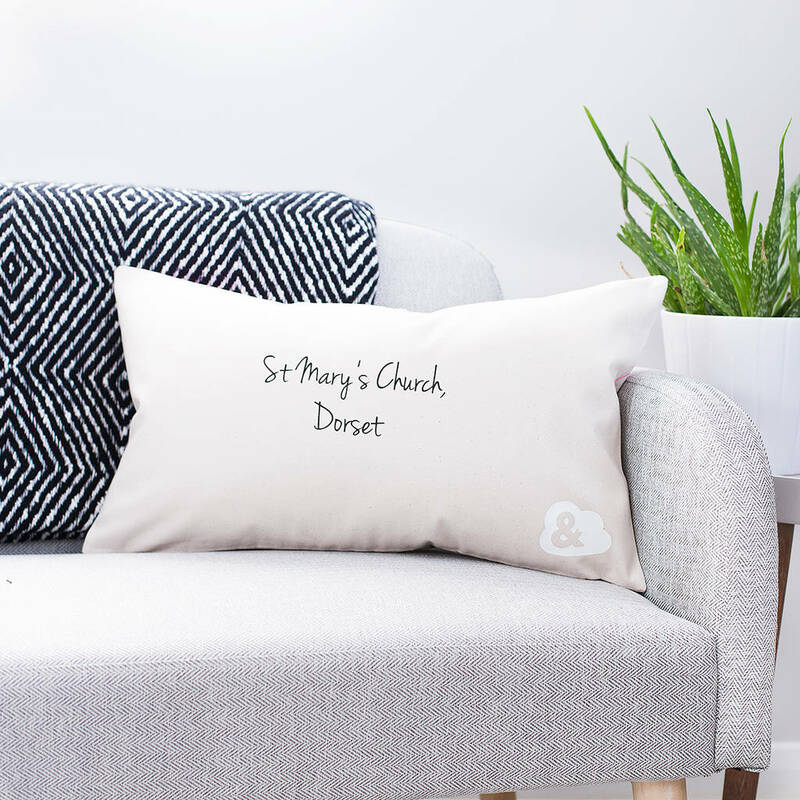 Each personalised cushion cover is hand pressed with your custom initials and anniversary date for a alternative keepsake. 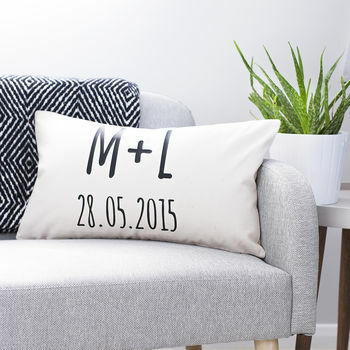 An ideal housewarming or engagement gift to adorn the home's of couples lucky in love. The perfect finishing touch for Scandinavian, modern or mid-century style interiors! 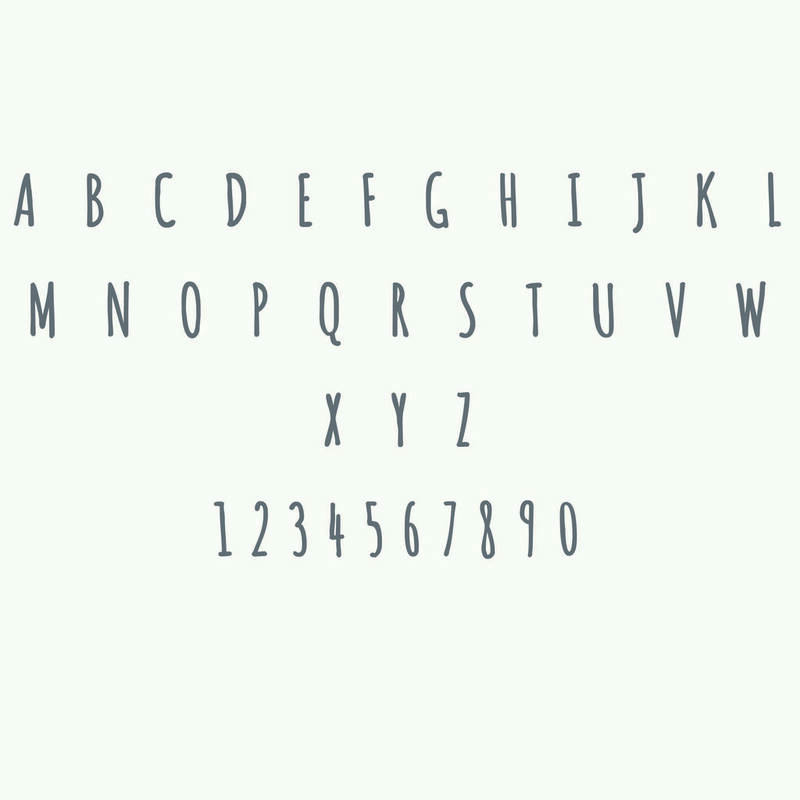 Add an extra personal touch with an additional reverse message, hand pressed in a matte black finish.